BNP on Thursday alleged that the government is staging a drama over the new national budget in a bid to brighten Prime Minister Sheikh Hasina's image. "The Prime Minister has asked (Muhith) to postpone the controversial new VAT law. The government and the ruling party are staging a drama and circus very well. A mockery with people over the budget is going on," said BNP senior joint secretary general Ruhul Kabir Rizvi. 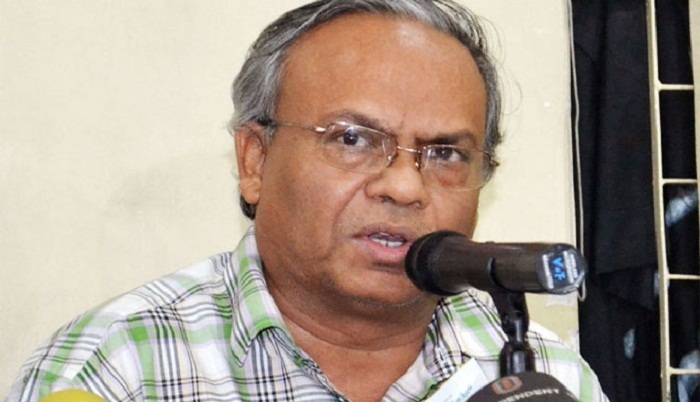 Speaking at a press conference at BNP's Nayapaltan central office, he further said, "The finance minister has been made a scapegoat only to boost the PM's image. It's Awami League's basic trait, and the party doesn't hesitate to sacrifice even its any top-level any leader to protect the head of the government." The BNP leader criticised the government for its failure to ensure smooth journeys for eid holidaymakers. "This is a regime of public sufferings. The miseries of homebound people know no bound due to huge tailbacks on the highways." He said huge traffic jams are seen as many parts of the highways have got dilapidated and filled with potholes. "People have to endure immense sufferings due to long tailbacks on highways. It's manifested the government's utter failure," Rizvi observed. He said though the ministers are continuously talking tall, around 75,000 km roads and highways across the country are in very bad shape. "Those rundown roads and highways are the glaring example of the government's corruption." The BNP leader strongly denounced the killing of two Bangladeshi boys by Indian Border Security Force along Moheshpur border in Jhenaidah on Tuesday. He also slammed the government for remaining silent over the brutal murder of the two Bangladeshis.